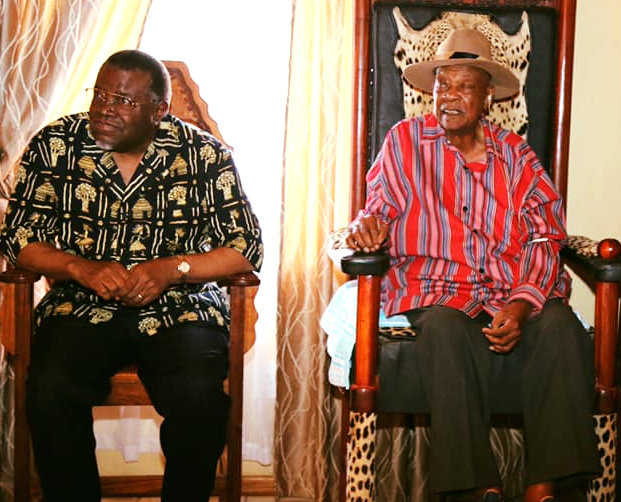 Dr. Hage Geingob, the President of Namibia has extended his condolences to the family and friends of Omukwaniilwa Immanuel Kauluma Elifas of the Ondonga Traditional Authority after he learned with sadness of the king’s passing. “Our nation has lost a key figure, a man of gravity and a great unifier who dedicated his entire life to serving others. Omukwaniilwa Kauluma, a leader I have known for decades, has been a fatherly figure, a friend, a sage, and a man of dignity. He did not only care about those who fell under his Traditional Authority, but treated everyone with affection and compassion. I am saddened by the loss. A big tree has fallen. But as he said, don’t’ cry for me, cry for yourselves, make peace with one another in the Ondonga Traditional Authority, and as Namibians,” President Geingob said. 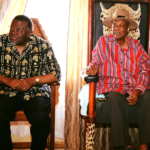 Omukwaniilwa Kauluma, who has presided over the Ondonga Traditional Authority since 1975 passed away at the age of 86. During this period of grief, President Geingob extended his sincere sympathies to his wife, the children, the Ondonga Traditional Authority and the entire Namibian nation. Funeral arrangements will be communicated accordingly.